Nkhangweleni Nemakonde’s day started off the way it usually did. He woke up at 3am, and instead of heading to his stall to start working at 4.50am, he went straight to the market to stock up on mangoes because he had run out unexpectedly. He arrived from the market with 30 boxes of mangoes, each worth R48, and put them next to his stall. An hour later he left the stall under the watchful eye of his assistant to run a few errands. On his return, in place of his fresh mangoes was a ticket from the Johannesburg Metropolitan Police Department (JMPD). This ticket said that he was in violation of a Johannesburg municipality by-law and was to pay R1000 to claim his stock from the JMPD compound. The mangoes were worth more than the fine, he organised money and went to pick up them up. But they seemed to have disappeared. 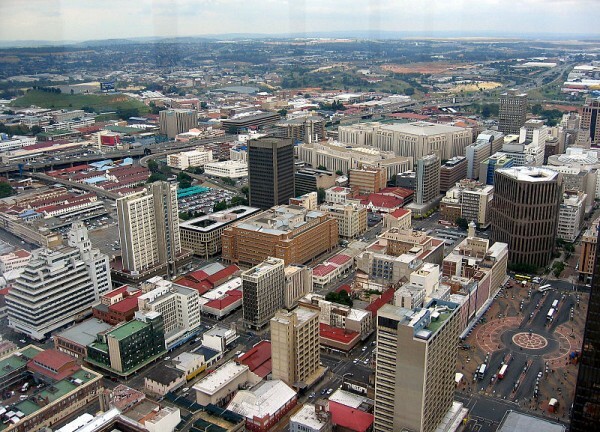 The Johannesburg municipality has devised several by-laws concerning informal traders (hawkers) which regulate such factors as designated trading areas as well as environmental health and safety. In terms of designated trading areas, hawkers are either allocated standardised stalls provided by the city or designated blocks marked by painted lines. Hawkers are also provided with trading permits as proof of their legality. 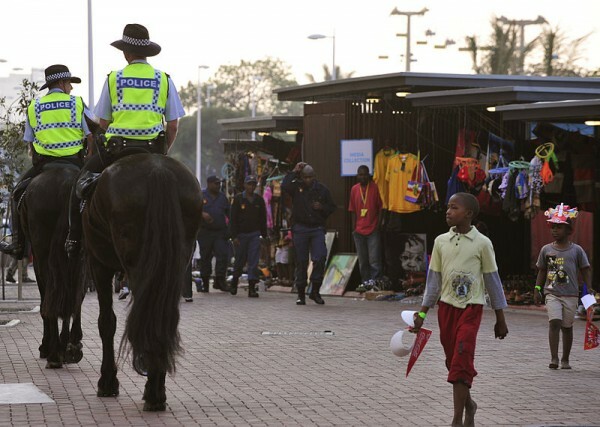 The JMPD has a unit whose mandate is to enforce the city’s informal trading by-laws against hawkers trading illegally. The offences range from designated area violations to the trading of counterfeit goods (punishable by imprisonment). In the event that any of these laws are violated, JMPD officers can confiscate hawkers’ stock for which they issue tickets used to collect their goods from the impound. JMPD Superintendent Zed Mangaliso explained that the situation was more complex than just confiscations of hawkers’ goods however. “The main problem is that there are parts of town designated for hawkers but there are just too many people wanting to sell in the same parts of town and there are not enough designated spots,” said Mangaliso said. He stressed that the laws were meant to deal with the congestion of hawkers on the pavements in the inner city not to harass them. According to Mangaliso the JMPD carries out raids at 6am, 11am and 2pm every day and the fines issued are determined by the municipality: R1060 for perishables and R2115 for non-perishables. “We are merely doing our jobs”, said Mangaliso. JMPD claim to be doing their “job” however hawkers see things differently. That may be the law but they believe metro police operate under their own rule of law. Nemakonde has a stall and a permit that he received in 2005 yet his mangoes worth close to R2000 were confiscated and never recovered. He believes they were stolen by JMPD officers. At 2pm on one Friday a JMPD raid was set to happen. A convoy of four JMPD cars carrying a team of about 15 officers left for the Park station area with a mandate to confiscate the perishable stock of hawkers trading illegally. As the first car, a small Ford, entered the area traders looked around them, alert with anticipation. In what seemed like a few seconds, this turned into panic as the two Quantum mini buses, followed by the truck, entered the target area. As soon as the officers jumped out of the cars, hawkers knew seemed to know exactly what to do. They grabbed whatever they could and ran to try hiding it. One hawker who sold his tomatoes and onions from a trolley just pushed his trolley as he ran. In all the chaos, he was unable to outrun the two officers who grabbed his trolley and lifted it onto the truck effortlessly. He like several others, was not issued a receipt. The few that were did not bother taking them saying there was no point of paying R1060 to get back stock worth less than that amount and by the time they gather the amount their fruit would have perished in the JMPD storage rooms. The JMPD have been accused of confiscating hawkers’ goods without issuing receipts or their goods “disappearing” from storage. In May this year The New Age reported that the South African National Trader’s Retail Alliance (Santra) was applying to the High Court for an interdict preventing JMPD officers from confiscating hawkers’ goods. This followed allegations of theft by the JMPD. There were incidents where no receipts were issued to hawkers resulting in them not recovering their goods. Tebogo Sewapa, a legal researcher from the NGO involved in the court application, Law Review Project, said JMPD raids were a violation of human rights. Sewapa and his team who are representing Nemakonde and others have requested a moratorium on these confiscations. One of the reasons for this moratorium was what they said was an inhumane nature of punishment leading to “the poor losing their only possessions”. They also mention that cases where hawkers’ goods are never recovered serve as evidence of corruption in the JMPD. In addition, the cost of getting back their confiscated goods is often higher than the value of the goods taken making the process theft from the hawkers by the city. Legally, they said the raiding process was unconstitutional for hawkers mainly because when their goods are essentially being punished before they can defend themselves in a court of law. “We want the High Court to declare that the by-law that gives metro police rights to confiscate traders’ goods without following the due process of the law, that by-law has to be declared to be not in line with the constitution,” Sewapa said. It is not just hawkers working in Johannesburg experiencing such challenges. News24 reported that hundreds of hawkers in Pretoria went up in arms in during several protests in August this year alleging that they were harassed by the metropolitan police there. An article in The New Age about the same protest cited the protesting hawkers’ spokesperson saying officers were harassing them by confiscating their wares and trading permits without valid reasons. To explain the confiscation process, Mangaliso stated that perishable goods stored at the JMPD compound were kept for a maximum of three days and if they were unclaimed at the R1060 fee they were donated to NGOs. He said this might be why some hawkers’ goods might be removed from the compound before they claim them hence the allegations of “disappeared” goods. While Sewapa and his colleagues continue in talks with the municipality, the raids continue three times a day – every day affecting the lives of hawkers like Nemakonde and their families. “The JMPD really harasses us. It hurts because I am not breaking the law I have a permit to trade but they still take my stock,” said Nemakonde while organising his fruit. Despite the challenges he has faced with the JMPD, he still has the dedication of the 21year old he was when he started selling fruit at this very spot on Bree Street in 1988. His motivation is his three children, wife, sister and mother who all depend on the fruit that he sells. He says he has not once made demands on the government for handouts – all he wants is justice served for him and others like him – people making an honest living. Nemakonde will continue to start his days when he wakes up at 3am, arriving at his stall at 4:50am to start selling to his earliest customers. He only packs up to go home at 7:30pm all the while hoping he will not be a victim of any of the three raids to take place each day – and that he would have sold almost all if not his entire stock.